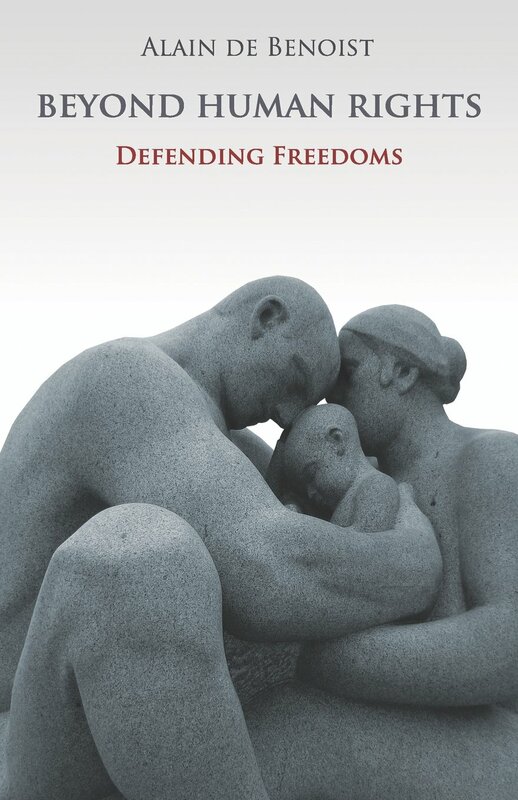 Beyond Human Rights is the second in an ongoing series of English translations of Alain de Benoist's works to be published by Arktos. Alain de Benoist begins Beyond Human Rights with an examination of the origins of the concept of 'human rights' in European Antiquity, in which rights were defined in terms of the individual's relationship to his community, and were understood as being exclusive to that community alone. This changed with the coming of Christianity to Europe, after which rights were redefined as a universal concept derived from the idea of each individual as the possessor of a soul that is transcendent and independent of any social identity. This culminated in the Enlightenment belief in 'natural rights', which found its practical expression in the doctrines emerging from the American and French revolutions, in which all individuals were said to possess rights simply by virtue of the fact of their being human. In turn, laws issued by the State came to be viewed as negative impositions upon the naturally independent individual. 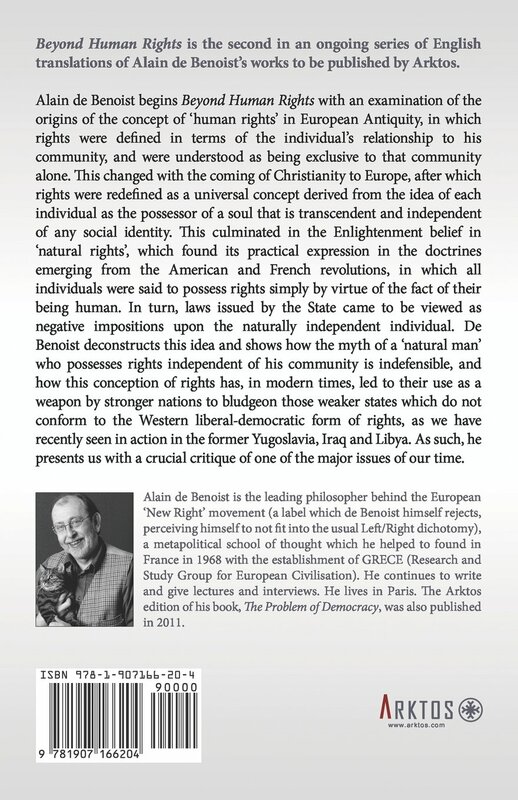 De Benoist deconstructs this idea and shows how the myth of a 'natural man' who possesses rights independent of his community is indefensible, and how this conception of rights has, in modern times, led to their use as a weapon by stronger nations to bludgeon those weaker states which do not conform to the Western liberal-democratic form of rights, as we have recently seen in action in the former Yugoslavia, Iraq and Libya. As such, he presents us with a crucial critique of one of the major issues of our time. Alain de Benoist is the leading philosopher behind the European 'New Right' movement (a label which de Benoist himself rejects, perceiving himself to not fit into the usual Left/Right dichotomy), a metapolitical school of thought which he helped to found in France in 1968 with the establishment of GRECE (Research and Study Group for European Civilisation). He continues to write and give lectures and interviews. He lives in Paris. The Arktos edition of his book, The Problem of Democracy, was also published in 2011.